Do you have a woodkiln? Do you have a woodkiln? Simon Levin is building a map of woodkilns from around the world. It’s a searchable database. What an amazing resource this is going to be! Help out by submitting your kiln or passing this onto someone you know who has a wood kiln. 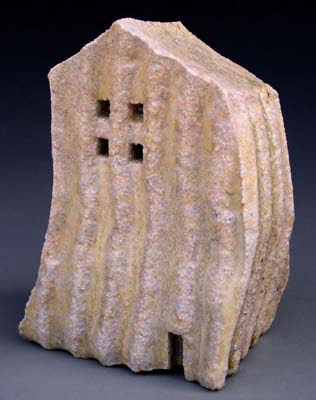 For privacy reasons only post kilns submitted by the owner’s of those kilns will be added. 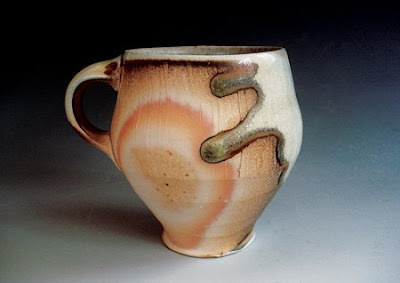 There’s a new way to share handmade pottery with your friends: American Mug. 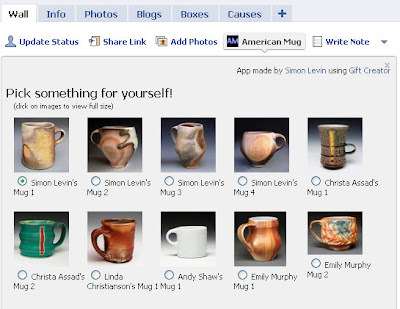 Simon Levin, created a cool Facbook application where you can share a mug with your Facebook friends made by an American potter. They’re not actual mugs, just an image of a real mug. Simon says: “You will be sorely disappointed if you try and fill them with coffee.” If haven’t tried that yet, but I’m guessing that he’s right on that one. If you’re on Facebook, just follow this link, and start sharing some pottery love. Greetings from Pittsburgh! It’s been quite a week. I’ve met a lot of great people, put faces to names that I’ve come to know through this blog, caught up with old friends, bought pots, bought tools, heard great speakers, participated in lively discussions, and looked at and picked up what must be hundreds of pots and the conference is only half over! Beth Lo. I find this piece incredibly endearing. Justin Rothshank. This has a dinosaur on it! Fossil fuel… get it? Naomi Cleary. I just love how the drawings are on the inside of this cup. Diana Fayt. I love Diana’s work and this is the first time I have gotten to see her work in person. It’s even more impressive in person. Ursula Hargens. Her works makes me crave spring even more than I already am! Simon Levin. I am such a fan of Simon’s work. I don’t know anyone else that gets surfaces like his out of a wood kiln (or any other kiln for that matter! ).